Hey! Welcome to the She Yearns Podcast! Have you ever felt stuck? Struggled with timidity? Felt like you couldn’t put your finger on it, but something was holding you back from moving to that next place with God? Maybe God is beckoning you to live more courageously for Him. James calls us to do just that, developing a faith that is able to stand in the face of difficulty. But this requires bravery and the ability to encounter badness with joy. How can we possible do such impossibilities? And what are the benefits? That’s what this episode, Unleash Your Brave, is all about! This is actually a new series and I’m really pumped about it. It should take us to the end of the year and prepare us to more courageously embrace the life God has called us to. Many blessings as you hear from your God and receive what He has just for you! Just so you know — you can now find today’s episode, Unleash Your Brave and other episodes of the She Yearns Podcast from iTunes, GooglePlay, Stitcher, or SoundCloud. Just click on the links below! As always, you can scroll down and listen right here! God’s Call to wholehearted pursuit and fruitful living is not limited to kings with perfect backgrounds and life handed to them on a platter. He calls regular people, like you and me, to God-sized tasks. Today our focus turns to those who were given the opportunity for greatness but refused to heed the call or welcome the challenge. Barak received a call from God but gave up the opportunity. During the period before the kings, when God appointed various individuals to serve as judges over the people, Deborah received a word from the Lord concerning Barak. She sent for him and he came before her. She told Barak God was sending him out to capture an enemy, Sisera, the commander of Canaan’s army. I believe Barak suffered from more than a juvenile uncertainty of self. He responded out of a twisted belief that God could work through someone like Deborah but not through him. This inaccurate assessment of God’s ability to greatly use a regular guy cost Barak his distinction as a hero. Why was God offering this honor to Barak in the first place? We don’t know. Maybe God had more planned for Barak after Sisera’s defeat that required an experienced hero. Maybe he wanted to reveal himself more to Barak through the victory. Maybe God was simply being generous to a regular guy who had done nothing to deserve it. We will never know, because Barak refused to embrace the opportunity. When was the last time you felt you were less that God’s treasured possession? When have you sensed God could use someone like her (some other person) but not plain, ordinary, mistake-ridden you? Let us not forfeit the opportunity to become heroines because we disbelieved God’s ability to give us His shield of victory and His willingness to stoop down to make His name great through us. 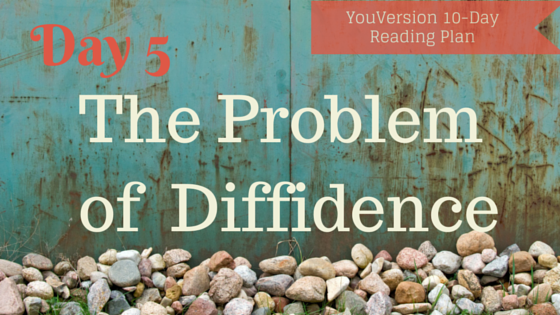 The Problem of Diffidence from Cheri Strange on Vimeo. 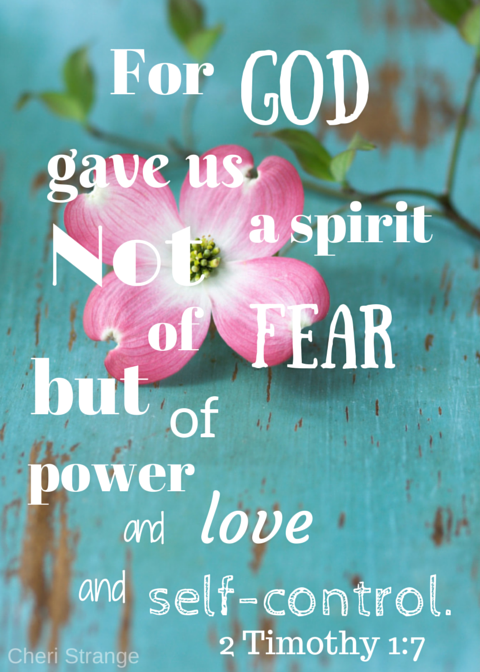 Click here to download this FREE printable 5×7.